It was the spring of 2008, and everything was going according to plan. I was about to graduate from a respectable university, I had a long-term boyfriend, a job was ready and waiting once I got my diploma, and my wonderful circle of friends and family lived nearby. I had worked hard to get here. I had worked hard to check off all the right boxes. And all my hard work was about to pay off. I should have felt accomplished, happy, excited. I felt lost, unfulfilled, and trapped. I could clearly see the life I had laid the foundation for, and it was…fine. Maybe I was overly optimistic and selfish, but I wanted a life that was more than just fine. I wanted life to be great. Bristling against the perceived constraints of my carefully charted path, I searched for ways to go off-course (while still being responsible and making an income, because student debt is real, y’all). I don’t know what serendipitous series of clicks led me to CoolWorks, but thank goodness they did, because it changed my life. As I scrolled through the job postings, I was instantly invigorated by imagining a hundred different futures. Who would the version of me be that lived on an Alaskan island for the summer? What adventures would she go on? What about the me that might man the visitor center at a national park? I bet she would have some good stories! But when I found the guest ranch jobs, I knew that’s what I wanted. A lifelong rider, I never thought I would actually be able to make a living riding horses, but here were dozens of listings offering precisely that. A couple months later, the day after my college graduation, I drove halfway across the country to Colorado to begin my job as a wrangler on a dude ranch. Like many, I figured the job would be a four-month stint that would give me some time and perspective to get my head screwed on straight before returning to “the real world.” Also like many, I way overshot that timeframe. In my case, by four years. Four years of living in a cozy cabin nestled in the high Rockies. Four years of honing my riding skills on hundreds of horses. Four years of throwing hay, feeding cows, and fixing fence. Four years of bear, moose, elk, and other wild critters. Four years watching the sun rise over the mountains during frosty morning roundups. I could write forever about the beautiful vistas, the laughs, and the memories. But the most impactful part of my four years living the seasonal job life was the people I worked with. They bucked the trend and defied the norm. They weren’t afraid to welcome adventure and forge their own paths. It was inspiring being among so many smart, motivated, interesting people who lived lives that excited them and challenged them, who were unapologetic about pursuing what made them happy, even if it left their friends and parents bewildered. And though I learned many incredible lessons from my time working seasonal jobs, these were the most important: You are allowed to pursue your happy. You are allowed to stray from the path and throw away your checklist. You are allowed to be in love with your job. You are allowed to not settle. You are allowed to ask for life to be great. And if you’ve managed to get this far and find your way here, you’re well on your way. Post-script: And what did I do with those life lessons? I went to grad school in a field I loved (literature! ), settled down in a state that offers endless outdoor adventures (yep, I stayed in Colorado), got a creative job that fulfills me (and it’s even peripherally related to wrangling! ), and because I couldn’t quite shake the seasonal job bug, I still work weekends wrangling at a guest ranch (because it’s really hard to give up riding horses with great people through beautiful country). I’m from Australia, and this is my ultimate dream to do the job you have done! 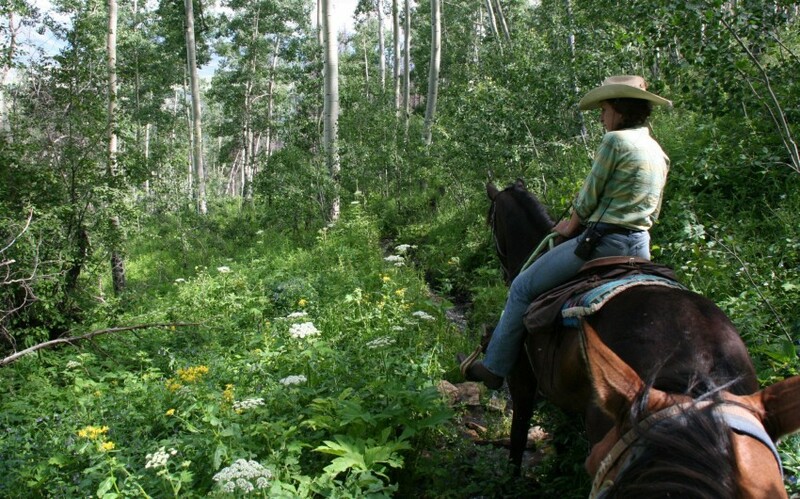 I’d really love to be able to get a visa and work on a guest dude ranch for awhile? Do you know how I’d be able to do that? And what’s the best advice?